We can support you in many ways, such as how to effectively build your own business, develop entrepreneurial solutions to help solve social problems, and explore your enterprising ideas. 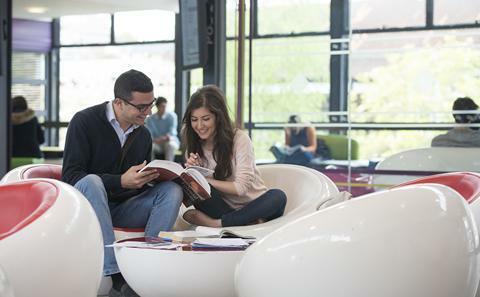 Here are some of the many fantastic opportunities here at the University of Southampton. Develop your knowledge, understanding and experience of how to be effective in entrepreneurial activity, such as The Enterprise Summer School, The Dynamo Challenge and The Catalyst Challenge. Every year the University runs a fantastic programme of events as part of Global Entrepreneurship Week. 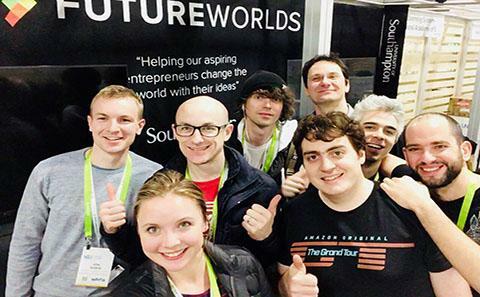 Future Worlds inspires and supports students to launch their new business ideas, from creating pitch videos to offering advice and introductions to their global network of mentors. Social Impact Lab is a social leadership training programme using entrepreneurial action to create sustainable change. In addition to a social enterprise module you can take as part of your course, they offer opportunities such as Spark India and the Social Innovation Challenge. The Small Business Clinic runs throughout the academic year. The clinic is led by a voluntary group of Law and Business students with the support of a local firm of chartered accountants offering free initial advice including general, legal and tax compliance relating to running a business in the UK. The University has a thriving entrepreneurial ecosystem, brought together under the Student Enterprise and Entrepreneurship Development (SEED) banner. As well as offering practical help and advice, the SEED partners run the twice-yearly SEED Start-Up Funding Competition - a chance for students to pitch for up to £2,500 of financial support in the development of their business ideas. Previous winning ventures include Inkpact and Bar Analytics. 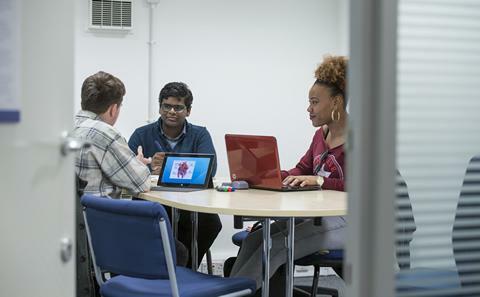 Enterprise Fund is a funding opportunity from Union Southampton for entrepreneurial students. Apply for a chance of receiving up to £250 towards a project, product or idea. Enactus Southampton is a global community of students working through entrepreneurial action to improve the lives of others. In 2015, Enactus Southampton won the prestigious Enactus World Cup in South Africa. In 2016, the society became the first to make the finals of the Nationals in their home country following a World Cup win, focused on their new project, JuaMaji. Fish on Toast is a student-run entrepreneurial society at Southampton who run regular interactive workshops and talks from successful entrepreneurs, and connecting like-minded entrepreneurial students and graduates. ECS Entrepreneurs holds seminars and workshops on topics such as starting a company, coding skills and business model development, ECS Entrepreneurs will support students from any subject area. The student run society also holds a Dragons’ Den competition in collaboration with Future Worlds, offering students’ opportunities for investment in their businesses. 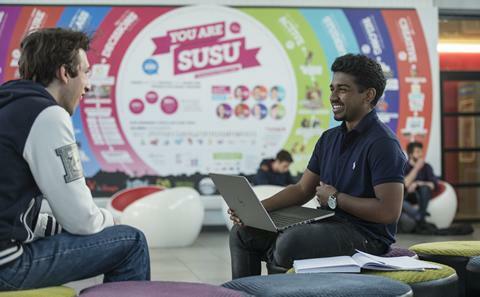 Discover more about getting involved in student enterprise and entrepreneurship. The Social Impact Lab is a unique social leadership training programme helping students realise their potential as social leaders. By taking part, you can become globally mobile, an adaptable problem-solver, and a confident decision-maker. Foster your skills through the successful social enterprise module delivered through the University’s ‘Curriculum Innovation’ initiative. This module brings together students with diverse talents, skills and backgrounds to explore and help solve real-world problems. Students who have completed this module have taken part in Spark India and The International Social Innovation Challenge. These projects have helped to empower and foster social entrepreneurship amongst the students and those they’ve helped in India. Discover more about the Social Impact Lab and visit their website. Fish on Toast is the University of Southampton's Entrepreneurship and Business Society. The society encourages a culture of innovation, inspiration and collaboration. Through visiting speakers and events, Fish on Toast can help you to develop transferable business skills, preparing you for your future career. The society also prides itself on having ambitious, motivated and creative members. One of the society’s key activities is Spawn. Spawn is a business pre-accelerator for students who are keen to start a business or for those who want to develop a start-up that is already running. Through Spawn Fish on Toast can help you financially and with your skills. Spawn can help you get your business started with a plan to offer a full year of incubation. From the skills and resources you gain, you can move your business forward once the year expires. Visit the Fish on Toast website for more information. As co-founder and International Development Director of the Caffè Nero chain of coffee shops, University of Southampton alumnus Paul Ettinger is a truly global businessperson. His latest venture sees him enter the world of web entrepreneurship, as he attempts to turn Streetlife.com into a global online community. After graduating from the University of Southampton with a BSc in Physics & Electronics 35 years ago, Paul worked for 18 years in various general management roles during which time he completed an MBA at INSEAD in France. It was through a friendship he made during his MBA course that he got involved in setting up Caffè Nero, which has now grown to become a global chain with over 800 coffee bars in seven countries, turning over £350 million per year and employing around 4,500 members of staff. Paul recently visited the University as part of our Distinguished Lecture Series. It was one of those moments in my life where a door opens, a phone rings, and you’ve got to make a decision.